Sea-Watch 3 is no floating hotel • Sea-Watch e.V. To shut down one of the last remaining rescue vessels on the Mediterranean, European governments use double standards. 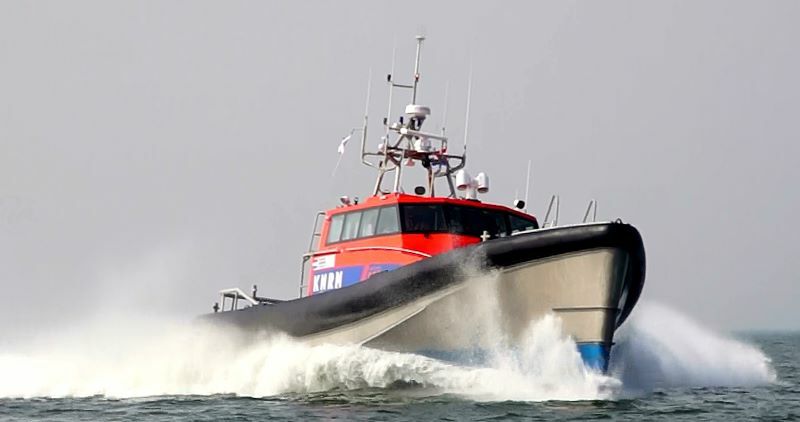 The Dutch authorities today carry out an inspection on the Sea-Watch 3’s ability to accommodate rescued people for longer periods of time, however their own rescue ships do not comply with this unreasonable demand, for a good reason: the law of the sea clearly states that rescued people have to be brought to a place of safety as soon as possible. It is European governments themselves who repeatedly caused unacceptably long waiting times for disembarkation of rescued people. It is beyond cynical to use the safety of rescued persons as an argument to hinder their rescue. “If we have a look at the assets of the Dutch royal sea rescue service, we will recognise that none of their assets would be suitable to accommodate rescued persons for a long period of time. Of course this is not necessary, as a rescue ship is not built for that purpose, however it shows the double standard that is applied”, says Bayer. “In any case, it is the epitome of cynicism to use the safety of refugees as an argument to let them drown.” The ongoing inspection is the second extensive flag state inspection within less than a year. The last inspection concluded that the Sea-Watch 3 complies with, and even exceeds, all applicable laws and regulations. “It is more than obvious that the aim of this inspection is not to ensure the safety of rescued people but to find a reason to shut down one of the last and most effective rescue assets at sea”, says Bayer.